My mom was in town this weekend, and we had a great time (Sorry, Dad! He had to work and couldn't make the trip.)! Saturday started like every other one of recent weeks: Callie's HLB and the Farmer's Market. (Spoiler: There was a huge line at HLB this week, so I actually took a bunch of photos and can't wait to FINALLY share my favorite breakfast and late night spot with y'all soon!) My mom looooved Callie's (who wouldn't?!). After that, we walked the few blocks, across Calhoun, to the waterfront to board the boat for a Fort Sumter tour. 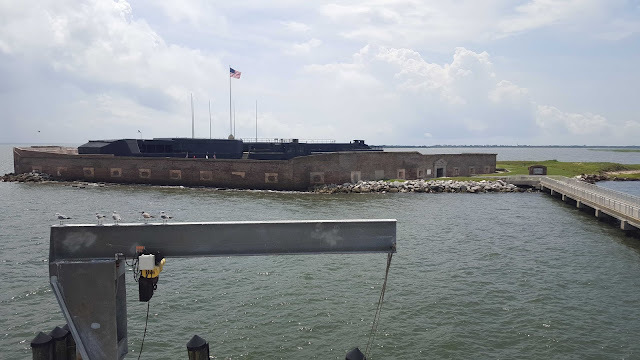 We have been to Fort Moultrie countless times, but when my mom brought up Fort Sumter, we thought a cool boat ride in the middle of a summer day sounded perfect. 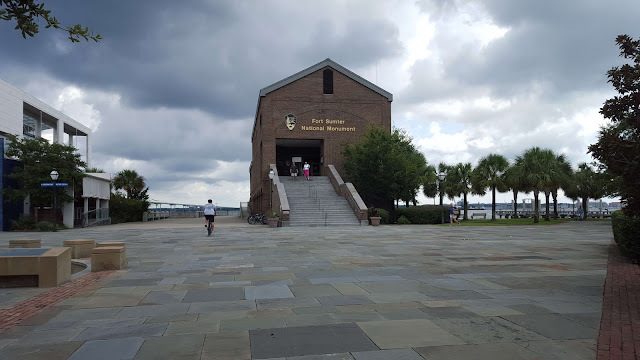 To be honest, it was a lot like Fort Moultrie, but the views were wonderful, and I learned a lot about the Fort and Charleston. 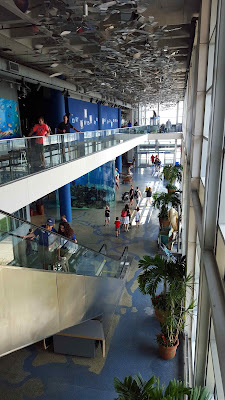 Returning on the boat, we started talking about the SC Aquarium next door, so we made that our Sunday adventure. If you follow me on snapchat (megatronnn27), you probably already know this, since I posted a few too many videos of my favorite animals. 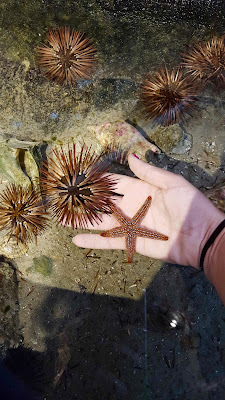 Come on, they were so awesome! I was really impressed with the aquarium. They didn't have the big whales or dolphins that my hometown Mystic Aquarium has (apparently it's illegal in South Carolina for them to be "on display"), but there were tons of fish, sting rays (we got to feed and pet them! 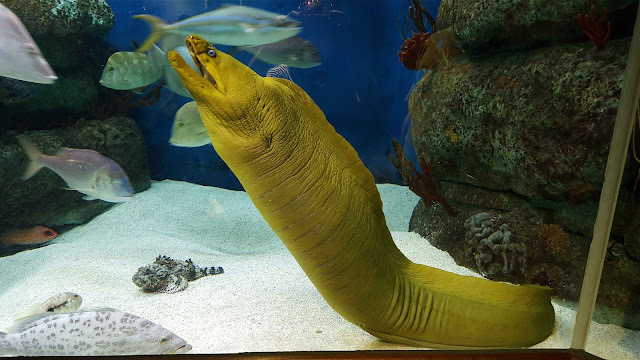 ), sea turtles, (my favorite) moray eels, and otters as well as non-traditional aquarium animals like snakes, lemurs, a bald eagle, and parrots. 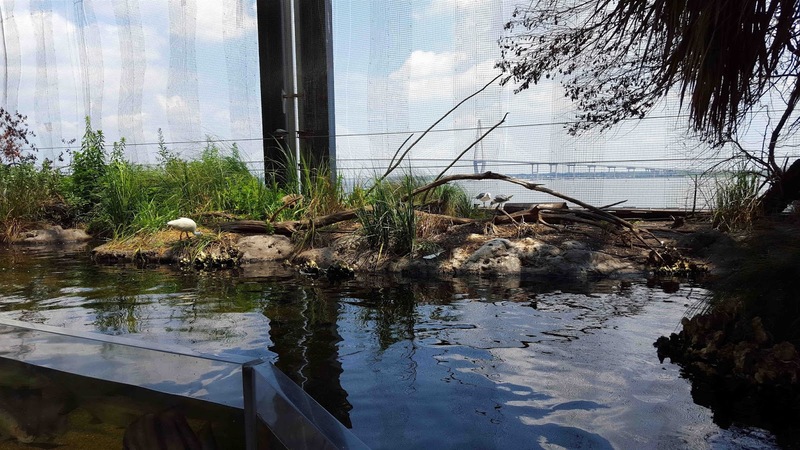 I loved the aquarium and definitely want to bring friends who visit back in the future! On top of all that, while my mom was here, she made us SO MUCH AMAZING FOOD. I kept trying to tell her that it was her vacation, but you know how moms are! Homemade pasta sauce (recipe coming soon), meatballs, stuffed shells, and devil dogs. Oh man, food heaven! 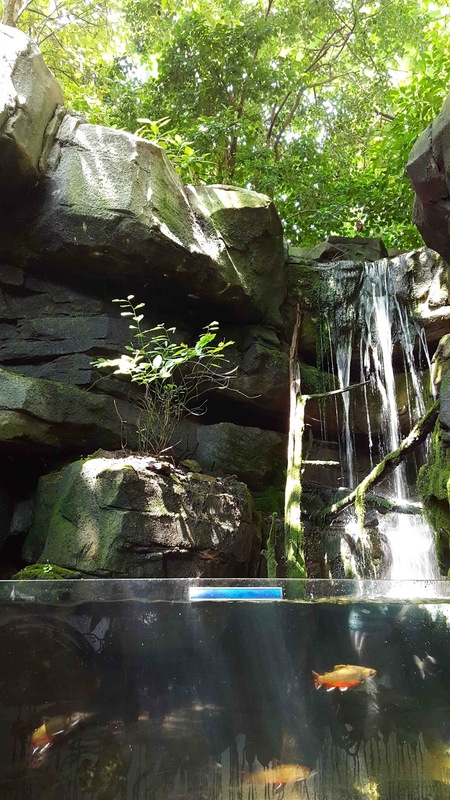 I hope you checked out my sponsor, Amanda's guest post yesterday! 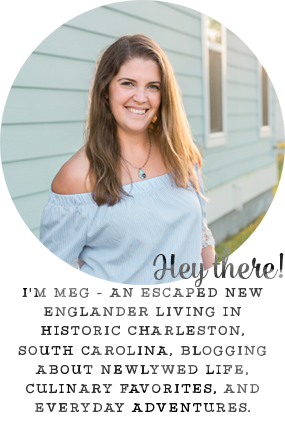 There is craziness going on with this blog and not only is she kind enough to be hosting a giveaway this week, but there are also another day left of Amy's giveaway! Now onto this week: last night (yes, like 5 hours after my mom took off), my bff arrived in Charleston for a week. Last fall, she was here for a week for my birthday, and we did SO MUCH, and this time will certainly not be any different. I'll be around, but please excuse a bit of blogger silence :) Have a great week, everyone! Are you from Mystic, CT?? I knew you were from New England. We were just in Mystic (and Waterford and Guilford) for a family wedding! The older I get the more I enjoy spending time with my family. Looks like you and your mom enjoyed your weekend! Looks like a great mom/daughter weekend! That is a strange law; I have lived in South Carolina for my entire life and never heard of it. 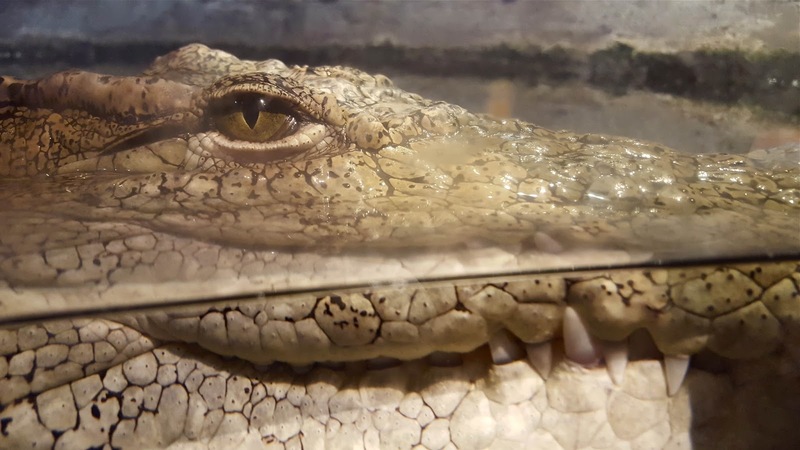 I wonder why those animals can't be "on display", but zoo animals can? What a great time with your mom! It stinks your dad couldn't come but that girl time must have been the best! How sweet she made you so much food - that will be delicious to enjoy! Family visiting is always the best. It looks like y'all had a great time! I heart Callie's hard, I can't wait to see that post. Looks like you had so much fun! It's always so nice to be a tourist in your own town! looks like you and your mom had a great time! that's great about it being illegal to have dolphins / whales on display, wish the rest of the country was like that. have fun with your best friend this week! 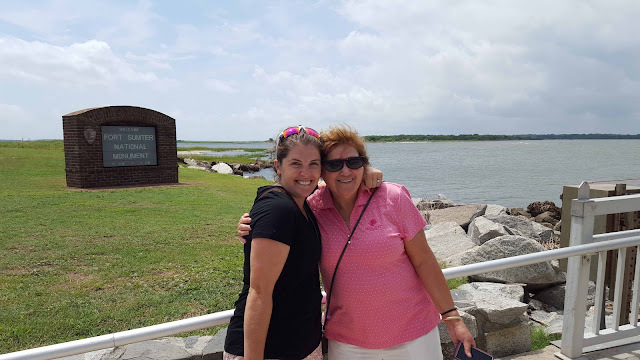 What an amazing visit with your mom! Yay for Callie's! I want one right now! 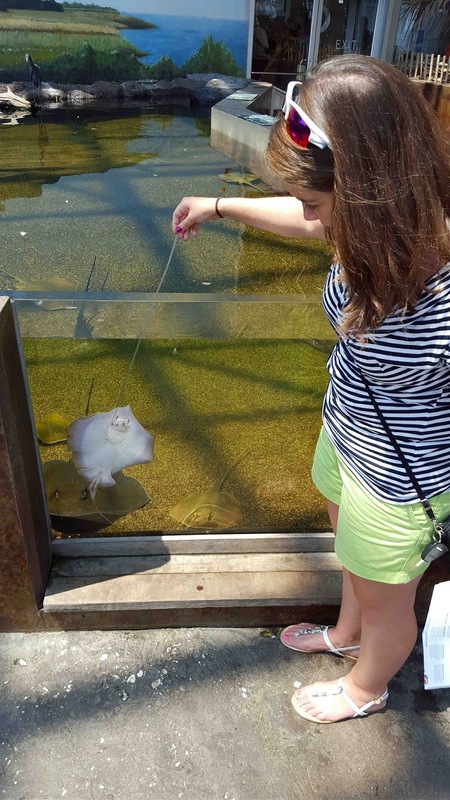 And how fun is the aquarium?! Next time I'm there I'm going to go out to Ft. Sumter! What a great visit! I love when my parents (or just my mom sometimes) come out to visit! And wow - Fort Sumter. How COOL is that?!?!?!? 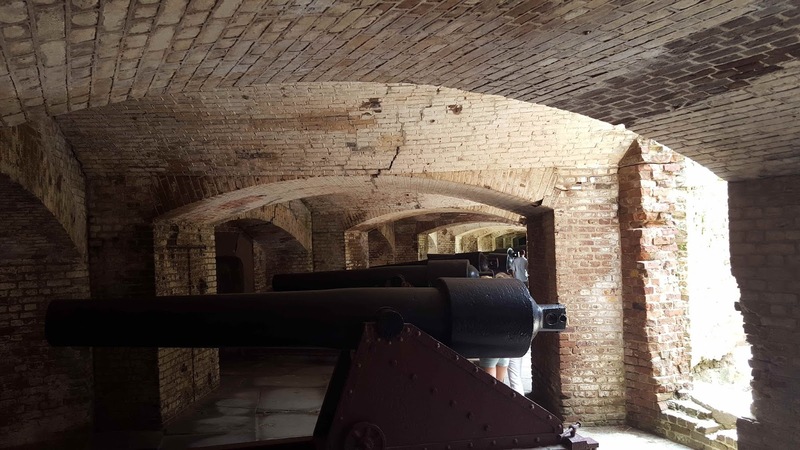 We loved visiting Fort Sumter on our honeymoon. I agree great views and so much history. We didn't hear about the aquarium, but we will just have to add that to our list the next time we visit. Hope you are having a great visit with your BFF! It's so awesome to have your mom there, and then your best friend! Have a fun week!